Just looking at the title you can almost hear “I am bored” in a young child’s whiny voice, and it’s that immaturity that is at the root of infidelity attributed to boredom. 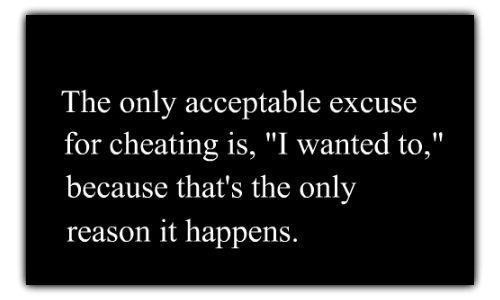 Unfortunately, no matter how immature cheating due to boredom may sound, it is probably the number one reason spouses cheat. I Am Bored: Why Does Boredom Set In? Most people don’t expect the flush and excitement of falling in love to last forever, but they are usually surprised when it starts to fade after only a few months of marriage. Sometimes the excitement will last for several years or ever longer, but sooner or later, kids, careers, bills, and life creeps in and the excitement seeps out. I Am Bored: What Are the Signs of Marital Boredom? Talking, listening to each other and exchanging ideas is a thing of the past. Time in the bedroom is predictable and almost scripted. Feels like you’re married to your sibling. There’s love, but the passion is gone. Everything’s calm. You no longer have heated discussions or fights. Watching TV has replaced evenings sitting across from each other over coffee and discussing everything under the sun. Friends are more fun to be with than your spouse. Dressing up to attract your love has been replaced by sweats, a lost comb and a misplaced razor. In other words you don’t care how you look to your spouse. A romantic candlelight dinner? You can’t remember the last one the two of you enjoyed together. You find yourself feeling attracted to someone other than your spouse, maybe even fantasizing about that person. If you recognize any of the warning signs of boredom you can take steps to save your marriage and relationship from the temptation to stray. The worst thing you can do is to give into the boredom and do nothing. Rabbit trail – Do you always travel the same route? Next time, take the left instead of the right, and you might be surprised at what you discover. Dine adventures – While you’re rabbit trailing, taking unexpected routes, keep on the lookout for new and untried restaurants. Try new tastes - Avoid the boredom of same menus and same tastes, and try some new dishes and new cuisines. Unplug – If technology is consuming your attention when the two of you are together, turn off the TV, lay aside the cellphones and walk away from the computer. Instead of playing an online game drag out the cards or Scrabble or any other board game and spend time together. New place old activity – if there is something you do together, consider doing it in a different location. Take your Scrabble board down to the local park. Together instead of separate – In an activity that one of you tends to do alone, set a time for the other to participate. Separate instead of together – If there’s something you always do together, do it separately for a change. Get out of the house – Go to your local downtown area and just walk up and down the sidewalks, going in to little shops and unexplored stores. Stay home for a change – If you’re always on the go, then cancel some appointments and spend an evening at home. Dream of a great adventure – Get out the travel brochures, even if you just explore somewhere in your own state, then begin to plan where, when, and how. Avoid the danger of hearing your spouse say “I am bored” as a reason for cheating, or hearing yourself tearfully confess after an indiscretion, “I am bored” as your reason for betraying your marriage vows. Do something now to avoid the danger of monotony in your marriage driving either of you to infidelity.